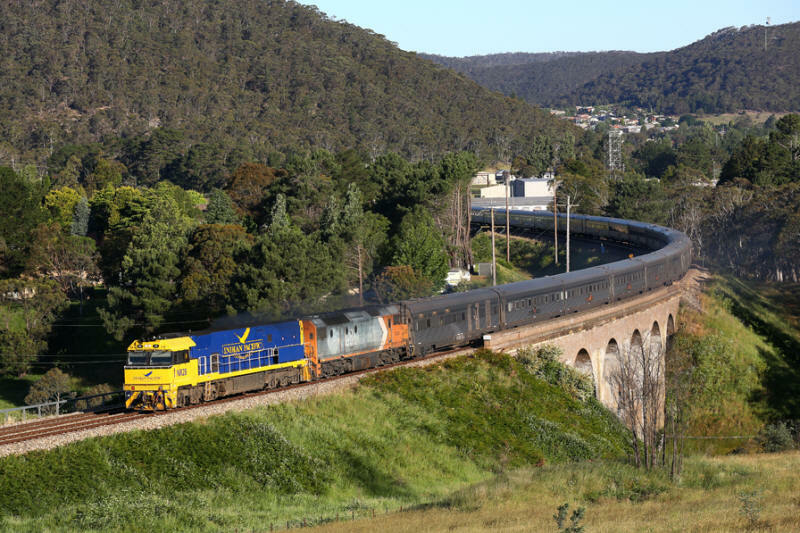 Indian Pacific® is a registered trademark owned by Great Southern Rail Pty Ltd and used under license by Auscision Models Pty Ltd. 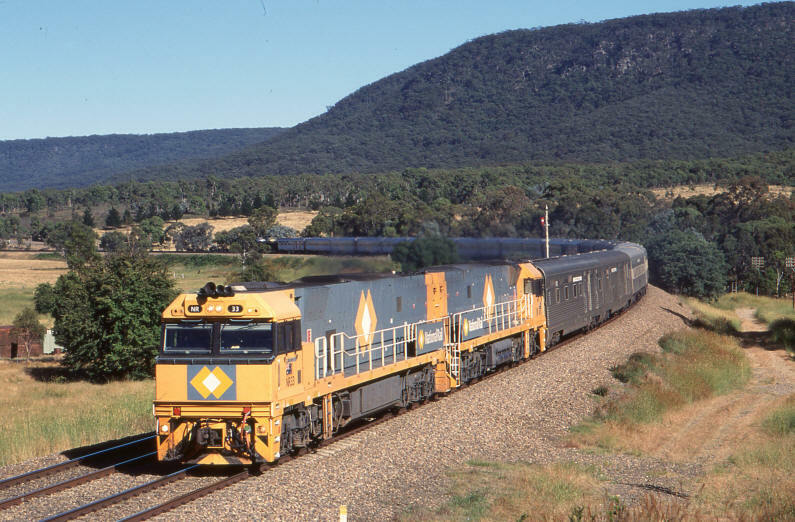 This set features the Indian Pacific® as it ran between 1971 to 1992 with Railways of Australia on the side. 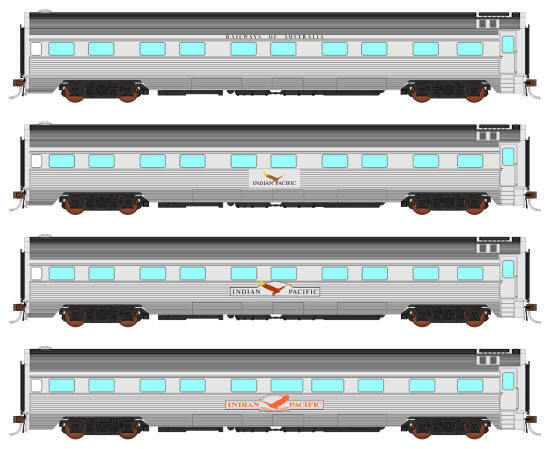 Separately applied Indian Pacific® sign is supplied with this set and can be fitted to the HGM & HM cars. 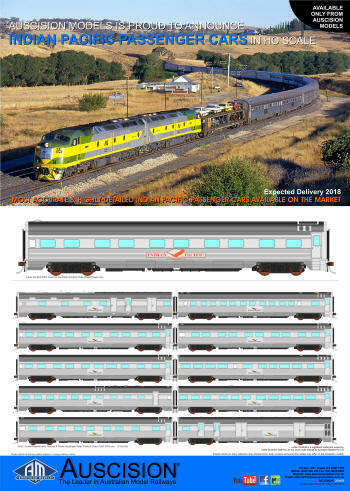 This add-on set features 3 cars that can be added to the Indian Pacific® 10 car set. 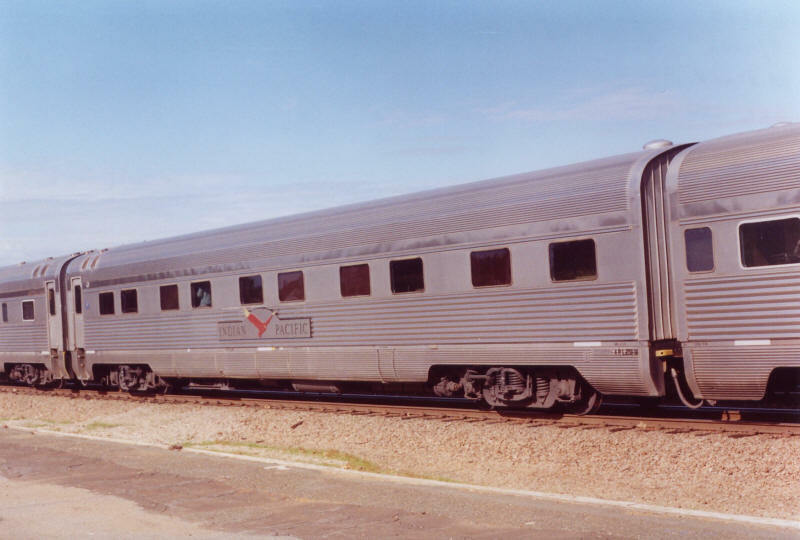 The cars in this set ran between 1971 to 1992 with Railways of Australia on the side. 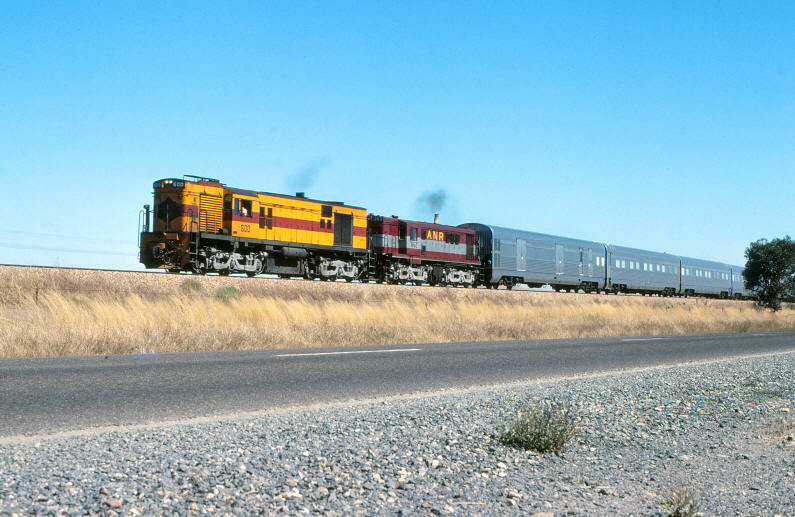 This set features the Indian Pacific® as it ran between 1992 to 2003 with Maroon & Yellow rectangle Indian Pacific® plate on the side. 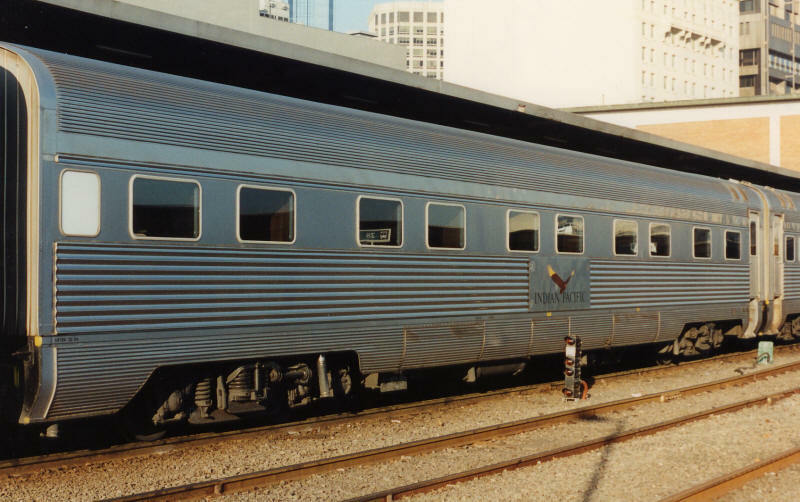 The cars in this set ran between 1992 to 2003 with Maroon & Yellow rectangle Indian Pacific® plate on the side. 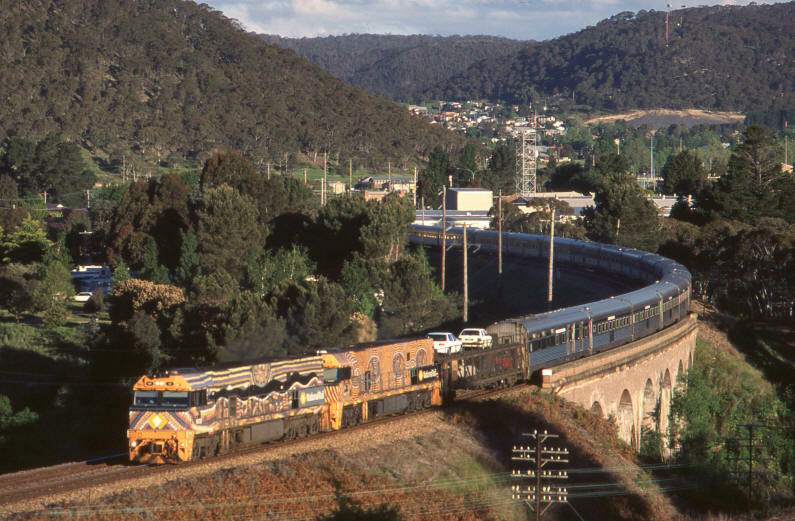 This set features the Indian Pacific® as it ran between 2003 to 2008 with Maroon & Yellow die-cut Indian Pacific® plate on the side. 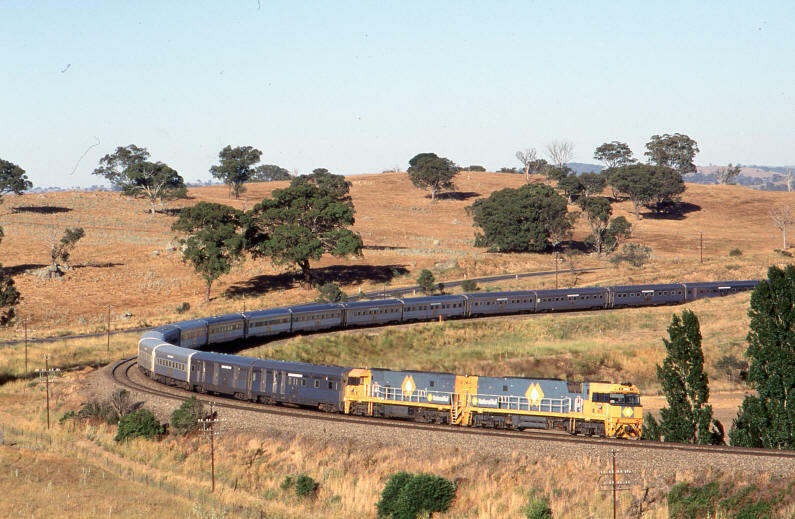 The cars in this set ran between 2003 to 2008 with Maroon & Yellow die-cut Indian Pacific® plate on the side. 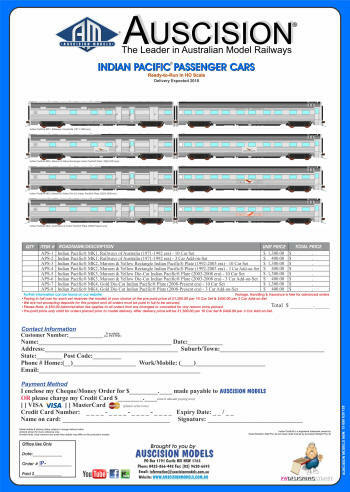 This set features the Indian Pacific® as it ran between 2008 to Present with Gold die-cut Indian Pacific® plate on the side. 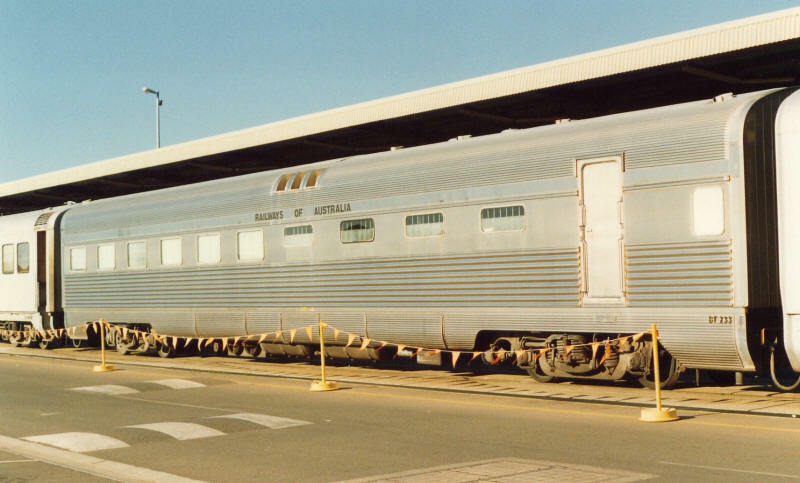 The cars in this set ran between 2008 to Present with Gold die-cut Indian Pacific® plate on the side.